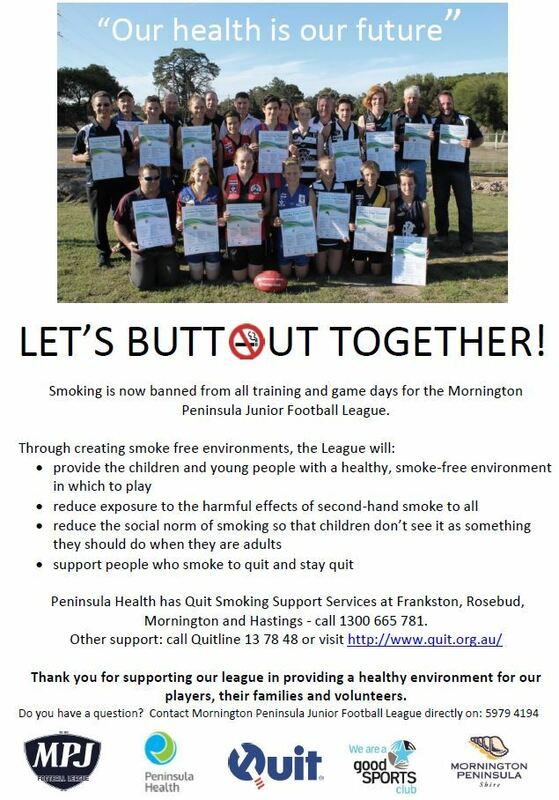 The Mornington Peninsula Junior Football League (MPJFL), in partnership with Peninsula Health, Quit Victoria, Good Sports and Mornington Peninsula Shire, is launching a ‘Quit Challenge Round’. 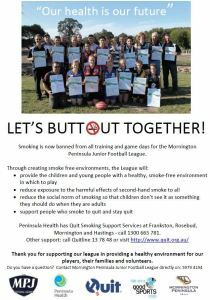 Quit Challenge Round includes 65 games of football held across the Mornington Peninsula on Sunday 29 May to coincide with World No Tobacco Day, 31 May 2016, and celebrates the League’s decision to go smoke free. Each game will have a player from each team awarded team player of the match. 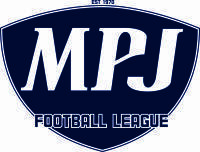 “The Mornington Peninsula Junior Football League is going smoke free to provide a healthy and safe area for our players, parents and spectators to enjoy our great game of Australian Rules” said Andrew Souter, President of the Mornington Peninsula Junior Football League. By creating smoke free environments, the League provides young people with a smoke-free sports environment, reduces players’ exposure to the harmful effects of second-hand smoke and helps discourage young people from taking up smoking by reducing the social norm of smoking. “The work we continue to do around smoke free environments is very important - sporting clubs are the heart of our community,” said Peninsula Health Promotion Practitioner Andie Murphy. Peninsula Health has Quit Smoking Support Services at Frankston, Rosebud, Mornington and Hastings – for help to quit contact 1300 665 781.